Last week I volunteered at Startup Weekend Ottawa and I had a FANTASTIC time. I would like to share my experiences with you in a four part series. This is turning out to be less of a “Review” as it is “Preps For Next Time.” I hope you enjoy it as much as I had “preparing” for this blog series. You Going? GREAT! Now What? 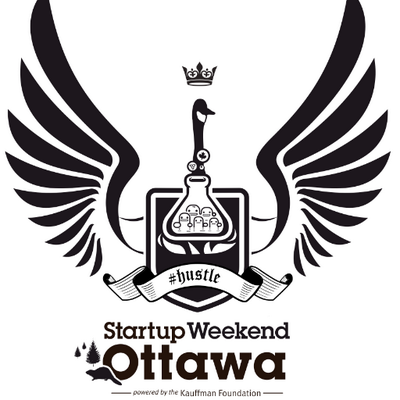 I heard about Startup Weekend Ottawa (SWO) on Twitter, I’m not exactly sure from who, but I caught it going over the wire. The idea sounded interesting, help local entrepreneurs get a leg on their idea to see if it is feasible. The last time, I wasn’t able to participate, work, family, stuff, LIFE just getting in the way. This time around, it was looking like the same story. :< Ah snap! But things re-aligned again, and that weekend freed itself up….but then I was worried about not having the dev-chops to contribute to a team. Well, I reached out the one of the organizers (Paul Austin-Menear) and I asked about volunteering, he said sure! Cool, I can participate and see if I’m up to the task of contributing the next time. WOW! What an incredible experience! It was fantastic! And all this while being surrounded by iPhones and Macs! And if you’re a regular reader of my blog, you’ll know THAT’S hard for me to say that! I hope you read on for my observations over the weekend, and come back later this week for my three other blogs I plan on writing. There’s a lot to summarize, so I hope you don’t mind bullet lists? UBER-duper-super-duper focus on getting things done!!!!!!!!!!!! teams would commonly come together and then divide, separate to go do work, then all come back after some time to regroup, revector, get jazzed again, rinse'n'repeat all weekend long! organizers were super jazzed, encouraging and honest!!!!!!!! I was volunteering and I had the luxury of pulling for all teams! On Sun, I was feeling a like when I played hockey, "Don't touch my goalie! or you'll get pummeled!" (why yes I did spent a lot of time in the penalty box), I felt very protective of my new friends and their ideas!!!!!!!!! I had a GREAT talk with someone about this! Thank you! what I LOVE was I saw NONE of that this weekend, it was ALL about ideas and pitches!!!! I learned so much, thank you! Socio-economic class structure? (ie snobs) No, definitively NO! holy crap, NO!!!!!!!!!!!!!!!! that didn't happen! On Sun afternoon, one person stopped me and said "thank you, you're so helpful" that made my day, my weekend! To have someone, about to make their teams pitch, a bit stressed, a participant take 30sec to say thank you, to me, a nobody, it helped put a smile on my face! I hope this gives you a good idea of WHY I enjoyed myself this past weekend. I hope you come back tomorrow for my in this series, My Advice for Rookies\Noobs. Until then, it's time to grab a coffee and get coding!